A deterministic automaton accepting a regular language L is a state-partition automaton with respect to a projection P if the state set of the deterministic automaton accepting the projected language P(L), obtained by the standard subset construction, forms a partition of the state set of the automaton. 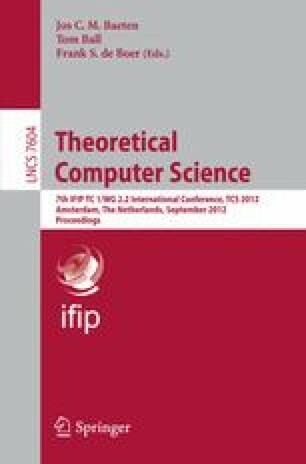 In this paper, we study fundamental properties of state-partition automata. We provide a construction of the minimal state-partition automaton for a regular language and a projection, discuss closure properties of state-partition automata under the standard constructions of deterministic automata for regular operations, and show that almost all of them fail to preserve the property of being a state-partition automaton. Finally, we define the notion of a state-partition complexity, and prove the tight bound on the state-partition complexity of regular languages represented by incomplete deterministic automata.